I find it hard to believe that my very first foray into review writing here (and before I go any further I should mention that this will not be anything like the great reviews with tasting notes I read daily on here; I'm nowhere near that level yet!) 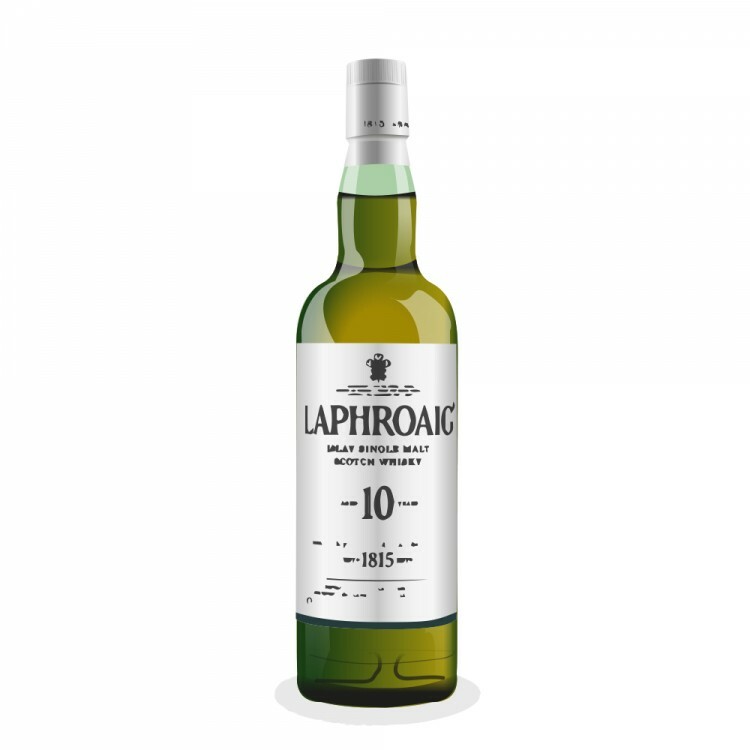 would be not about one of the sherried Speysiders which for the last few years I've believed to be my particular tipples, but instead a(perhaps even the) Islay peat monster, the Laphroaig 10-year. Having become fairly convinced that, for me, the smoky, peaty malts were not to my palate and that I would forever be sticking with the likes of the Glendronach and the Aberlour, and having eschewed those more "characterful" islanders for so long, I decided to revisit them to see whether my palate had developed to the extent that I could finally appreciate what so many others do. And lo! it came to pass that he did take one sip of the be-peated nectar, and declared it "bloody good!" Since my previous encounters with peated malts, a good deal of the stuff has been pushed across the larynx, and this has clearly had a dramatic effect on my tastes. 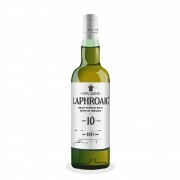 Whilst I think I will always hold a preference for such masterpieces as the Aberlour 18-year and A'bunagh, and the Glendronach 15- and 21-year, I have to say that the Laphroaig 10-year was £30-odd very well spent, as it has opened my eyes to an entirely new dimension to explore. On the nose, the smokiness which had previously been so alien to me suddenly becomes a warm and welcoming friend, the smoke from a crofter's fireplace on a cold winter's night as he closes the door and gestures for me to pull up a chair. It is neither harsh, overpowering or off-putting, but quite the reverse in all respects, and sits atop a honey sweetness, the combination of which is quite remarkable. On the palate there is the honey again, a maritime saltiness which is never allowed to sit too long before a quite delightful fresh sweetness washes it away. The finish recapitulates the nose and leaves behind a warmth that is a sheer joy. So, there it is, my first review. Not, as I mentioned, anything like the magnificently descriptive and colourful accounts to which I aspire, but one which hopefully gives some impression of my pleasure at discovering "The Joy of Smoke". So bring on the Lagavulin, sling over the Bruichladdich, and after you with the Ardbeg! Impressive first review and an excellent bottling to do it with. Great first review. Way better than my stuff! And a good expression to start with. May I suggest the Uigeadail and the Corry to follow next?